Home » Featured » Proud of Our GMP Kava! 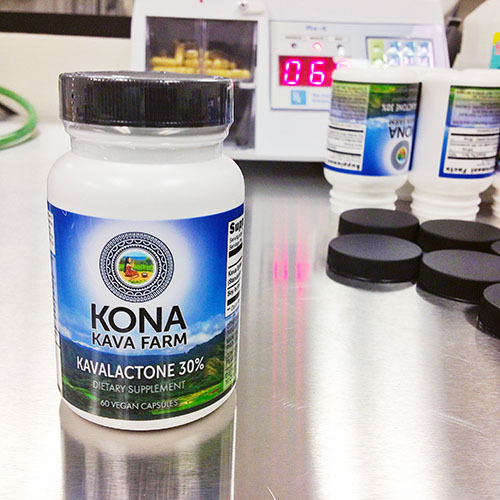 Something we’ve been absolutely terrible at advertising (we’re usually quite terrible at advertising ourselves), is the fact that 100% of our Kava products are manufactured in an FDA-compliant, GMP manufacturing facility. That’s something we’re pretty darn proud of, as there’s automatically a certain level of quality that each and every product must meet, from the label, to the package, to the contents of that package, to the way it’s marketed, to any claims made on it. Every one of the products we offer goes through a very rigorous series of tests that begin before it even leaves Hawaii or Vanuatu, once it arrives here on our shores, and before it goes out the door and into your waiting hands. We’ve worked incredibly hard to ensure our compliance right down to the very buildings we craft all of our Kona Kava Farm products in. Every one of our labels has been carefully edited and vetted by our FDA consultants, to ensure that our products meet the new, extremely demanding standards set by the FDA and any dietary supplement that enters the marketplace. And, not only do we get our products tested for the usual list of items, we test for Total Kavalactone content and Kavalactone Lineup, as well as full microbial testing and metals testing. If there’s anything harmful in your Kava, we will know. (Oddly enough, we’ve tested every Kava product in the marketplace, and not only did one show a pathogen, one also showed high levels of lead…something that you will never find in any product we offer). As far as we know, we’re actually the only Kava supplier that offers a genuine GMP-manufactured product. That’s why we rarely respond to the very few loud voices who often accuse us of all kinds of nonsense, when we offer the most thoroughly tested, completely compliant, Kavalactone content and lineup verified Kava in the Marketplace. We don’t need to respond to any of the noise because we do what we’ve always done, with the highest regard for safety and the pleasure of our loyal customers, who’ve stayed with us through all our twists and turns since the late-1990’s when we offered our first Kava products online. We’re proud to be one of the first online Kava Suppliers, and we not only have survived the many ups and downs of the economy, we’ve flourished. And none of it would have been possible unless we had the unflinching support of our uniquely loyal customers who stuck with us during the most difficult times in our growth. And, part of that growth was to move towards complete GMP compliance for every one of our products, and to always remain committed to innovation and quality as well. Thank you for believing in us, and rest comfortably in every one of your purchases, knowing that we proudly adhere to standards that inspire us to reach higher standards with every new product we offer here at Kona Kava Farm. FURTHER READING: Is Your Kava GMP Kava?